Joe Addalia is Director of Technology Projects for Hearst Television, Inc. and in that role is responsible for new technology discovery and implementation surrounding television workflows, including News Technology and Broadcast Operations Technology. Addalia joined Hearst with the purchase of WKCF-TV in 2006 and is based in Orlando. His responsibilities also include the Broadcast related technology for HTV's Digital Media Group, including Live Streaming Video, Mobile DTV, Interactive TV, Second Screen and Multicasting. Addalia also represents HTV on industry technology committees. Before joining Hearst Television, Addalia was Corporate Director of Engineering Technology for Emmis Communications. He was responsible for researching and pinpointing technology for the company’s 16 Television and 25 Radio stations, as well as overseeing the southeast stations and serving as Director of Engineering for WKCF-TV. Addalia was design engineer behind the Emmis Centralcasting Model and was responsible for its implementation across the Emmis stations. The facility was among the first in the industry to drive the On-Air operations through the use of metadata rather than user-intervention. Previously, Addalia held the position of Corporate Director of Engineering for Press Communications, LLC, a radio and television broadcasting company based in Wall, N.J. During his 12 years with Press, he designed and constructed the studio and transmission facilities for WKCF-TV, Orlando, as well as the group's radio facilities located in New Jersey and Florida. Addalia also had the honor of 'signing-on' WKCF in 1988 as its Chief Engineer. Addalia has been in broadcast engineering for over thirty years and has hands-on experience in all facets of the technical side of television, radio, internet and cable. He has an Associate in Applied Science Degree in Television and is a SBE Certified Broadcast Engineer. He's also an active member of SBE Chapter 42 in Central Florida, as well as a member of SMPTE. Prior to his involvement with SBG, COMARK Communications employed Mr. Aitken, holding positions including Manager of the Systems Engineering, RF Engineering and Sales Engineering groups, as well as Director of Marketing and Sales Support which included DTV Strategic Planning responsibilities. While with COMARK, Mr. Aitken was part of the "Emmy Award Winning Team" that revolutionized the Broadcast industry by bringing IOT (Inductive Output Tube) technology to the marketplace. Mr. Aitken is a member of the Association of Federal Communications Consulting Engineers (AFCCE), the Institute of Electrical & Electronic Engineers (IEEE) and the Society of Motion Picture & Television Engineers (SMPTE). He is the author of many papers dealing with innovative RF product developments, advanced digital broadcast systems design-implementation strategies, and holds patents for various RF devices and Next Gen systems. He is a recipient of the 2008 "Broadcasting and Cable" Technology Leadership Award and 2013 recipient of the ATSC "Bernard Lechner Outstanding Contributor Award". 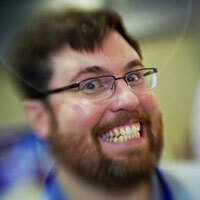 Jonathan Beard is Director of Digital Product Development at the Graham Media Group. An industry expert with more than twenty years of successful experience in professional software development, Jonathan T. Beard has a proven ability to architect, develop, manage, and deploy software in enterprise, entrepreneurial, and research applications. Jonathan has taken innovative artificial intelligence systems to field deployment for the U.S. defense industry, built and deployed global social media and web applications with millions of users, and rolled out enterprise-wide engineering change management systems for the auto industry. He brings a wealth of experience to Graham Media Group and has lead his team in integrating distributed technologies across the corporation into a unified strategy. Incorporating the rich tools and capabilities developed by Graham Digital, Jonathan leads his team in enhancing the experience of all web and mobile users -- both consumers and content-providers -- through improved ease-of-use, reliability, and engagement. 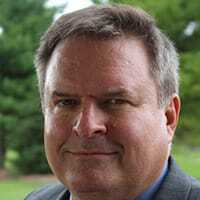 Lew Blanchette is News System Architect at Grass Valley responsible for analysis of client needs and configuration of Grass Valley news and sports production solutions to best address them. Lew has extensive experience in both live and post production. He was a news editor handling live and breaking news, and once edited for a 48-hour stint during riots in Virginia. He was an award-winning linear and Avid editor working with networks and ad agencies including HBO, The Family Channel, The Primm Company and Hambright, Calcagno & Downing. Lew moved to the manufacturer side of the industry with Leitch and saw it through several ownership transitions, where he most recently was Sr. Technologist at Snell Advanced Media. Lew was instrumental in developing a newsroom system for both large and small markets, and created an instant replay application for an officiating system used by a major sports organization. Neal Boling is the Station Manager for KHQ-TV, the NBC affiliate in Spokane, WA. Neal grew up in Tampa, Florida and self-diagnosed as a news geek at the age of 4. His dad disconnected cable in the sixth grade, because Neal would rather watch The Weather Channel than play outside. 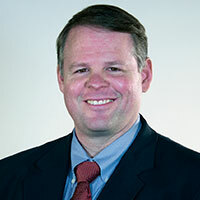 After graduating from the University of Florida, Neal returned to Tampa to climb the news ranks at WTSP and then WFLA. He grew tired of the heat, humidity, and hurricanes so he moved his family of four to Eastern Washington in 2010. He still misses the bizarre Florida news but loves living in, serving in, and supporting the best kept secret in America: the Inland Northwest. With 15 years on the manufacturing side of the Broadcast Industry, Aaron has been in the trenches with broadcast partners supporting video server, news automation, newsroom system, transmission automation, and - most extensively - prompting workflows. Further experience building large format recording studios in Nashville and New York City as well as engineering country and pop/rock recordings rounds out an audio/video skill set and a keen understanding that nothing matters more than a great workflow. 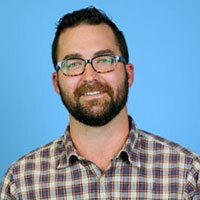 Tom Butts is the content director of TV Technology. 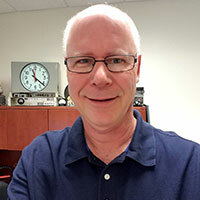 He has covered the broadcast business for the past 20 years, getting his start with the National Association of Broadcasters He is a former editor of Video Technology News and launched digitalbroadcasting.com in 1999 while at Verticalnet. He has a B.A. from the University of Maine and has worked part time in radio off and on for the past 35 years. Crump began his professional radio career in 1987 as a producer at WHYT/Power 96 FM in Detroit, before his work as an editor for the Mediabase Research radio & record trade magazine Monday Morning Replay. He went on to serve as an On Air Talent, Remote Broadcast Engineer, then Creative Services Director for Capitol Broadcasting and subsequently Paxson Communications in Orlando, as well as the Ron & Ron Radio Network in Tampa. Since 1996, Crump has served in sales capacities for Spectral, Euphonix, Symetrix and Klotz Digital. 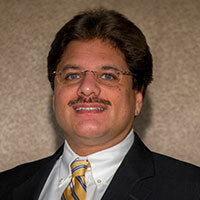 He has been Senior Director of Worldwide Sales & Marketing for Comrex Corporation since 2004. Crump, his wife, and eight-year-old daughter, live just north of Atlanta with their new puppy Olive. He is a member of SMPTE and is a CBNE member of SBE Chapter 5 in Atlanta. Vanessa Dennis is the Director of Product for PBS NewsHour. She is responsible for design and engineering for digital products and works to bring useful, high-quality and innovative technology to the newsroom. 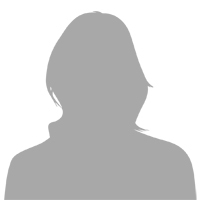 She has a degree in visual communication from Ohio University and has worked in technology for more than 15 years. You can find her suffering through Arsenal matches on the weekends and getting outside with her wife and two daughters. Cliff Emerson is a founding member of two startups, one of which was acquired by Clear-Com in 2008. 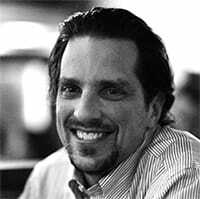 Cliff has over 15 years of experience in Software Engineering and Product Management. Gaining diverse insight from those experiences, Cliff has paired that with an empathetic approach to explore what end-users need to be successful in their roles. Cliff is currently responsible for the CCM browser-based management utility that now expands across three Clear-Com product lines, UX across all IP-based products and the world-wide Product Manager for the Military, Aerospace and Government markets. Cliff is a US Navy veteran and has a Bachelor of Science with a major in Computer Science. 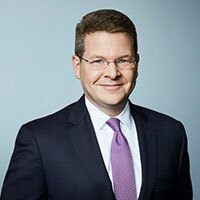 Sam Feist is CNN's Washington bureau chief and senior vice president. Named to this role in May 2011, he oversees daily operations of the bureau and leads all newsgathering and Washington-based programming, including: The Situation Room with Wolf Blitzer, The Lead with Jake Tapper, State of the Union, and Inside Politics. Feist also leads the production of CNN's campaign and election coverage, including debates, convention coverage, and election night. During the 2016 campaign cycle, CNN's primary debates were nominated for a 2016 Emmy award and included the highest rated programs in CNN's history. Previously, Feist was CNN's political director and vice president of Washington programming. In that role, he coordinated all facets of CNN's daily political coverage and oversaw CNN's production of the 2006 midterm and 2008 presidential elections. In the 2008 election cycle, Feist coordinated and produced the primary and convention coverage that earned CNN a Peabody Award. Feist is the recipient of three Emmy Awards: as executive producer of CNN's Election Night 2012 coverage; as executive producer of CNN's coverage of the 2006 midterm elections, and as an executive producer of breaking news coverage of the 2011 Arab Spring. 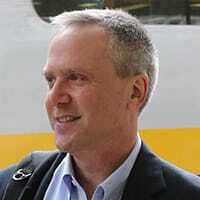 Sam Feist began his CNN career in 1990 as a freelance producer in CNN's London Bureau. He then joined CNN's Atlanta headquarters and moved to the Washington Bureau during the 1992 presidential campaign. Daniel Frankel is the technology editor for Multichannel News and a senior content producer for Broadcasting & Cable. 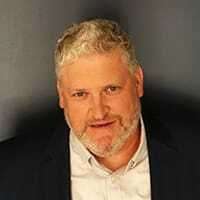 He has a 20-year background reporting on the intersection of entertainment, telecom and digital technology, reporting for publications including Variety, FierceMarkets, GigaOm, paidContent and AdWeek. You can follow him on Twitter at @dannyfrankel. Bogdan Frusina is Dejero’s Founder and Chief Technology Officer. Bogdan is responsible for the creation, testing and deployment of Dejero’s innovative technology as well as forging and nurturing strong relationships with customers. After spending five years travelling with journalists covering election campaigns, he founded Dejero to develop and commercialize a mobile broadcasting platform to overcome the limitations and high cost of traditional newsgathering technology. Bogdan began his career at Research In Motion (now BlackBerry) and has founded several start-up ventures. 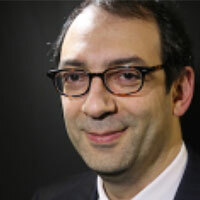 Stephane Guez is a Co-Founder of and Chief Technology Officer at Dalet Digital Media Systems. Stephane has 30 years of experience in computer sciences, software design and development, and information technology applied to the media and broadcast industries. Drawing on his extensive experience, he has contributed to turning a technology vision into a successful business venture. 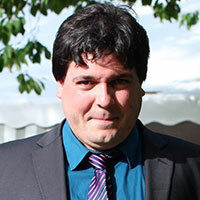 A mathematics and computer sciences engineering graduate and PhD holder from the Paris University, Stephane launched his career as post doctoral research assistant at the University of Rochester (NY) before founding Dalet. He was, for many years, the director of research and development at Dalet, after which he moved to New York City to develop Dalet's business in North America. As CTO, Stephane focuses on company strategy and how software technology will continue to provide efficient business solutions to an industry that is undergoing major changes. Louis Gump is CEO of NewsON, a digital media company that allows consumers to instantly watch live local TV news from most major cities across the U.S. through the NewsON mobile app and Roku channel. Accomplished in leading digital media services, Gump presided earlier in his career over benchmark-setting mobile businesses for The Weather Company and CNN, before becoming CEO of mobile media and advertising company LSN Mobile. Gump has also served in multiple capacities in industry organizations including the Interactive Advertising Bureau (IAB) and the Online Publishers Association (OPA). He served for more than a decade on the board of the Mobile Marketing Association (MMA), where he held various leadership positions including Global Chairman and Treasurer. Bob Hannon has been the Director of Production for Waterman Broadcasting in Fort Myers, Florida, since 1997. Waterman Broadcasting owns WBBH-TV, an NBC affiliate, and operates WZVN-TV, an ABC affiliate, for Monticlair Communications through an LMA. The two stations produce 20 newscasts a day in high definition along with a market-leading digital and social media presence. Prior to Waterman Broadcasting, Mr. Hannon was operations manager for KTEN-TV in Denison, Texas, and KHBS/KHOG-TV in Fort Smith and Fayetteville, Arkansas. Preceding those experiences, he held various positions at WXII-TV in Winston-Salem, North Carolina. 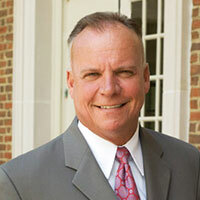 Mr. Hannon has over 40 years in broadcasting, and is a 1983 graduate of Wake Forest University. He is also a commercial and instrument rated pilot and flight instructor, and enjoys motorcycles, photography, boating, fishing, golfing, and anything else that finds him outdoors. 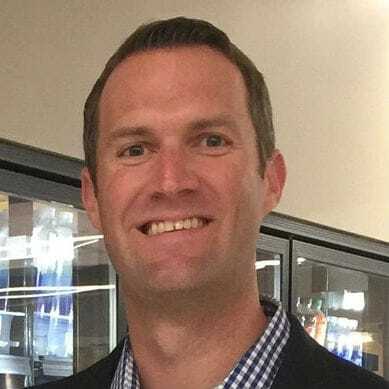 Matt Keiler leads TVU Networks North American Sales team. 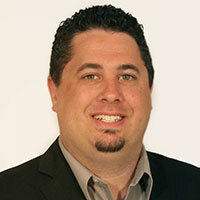 He has over 18 years of experience in media, enterprise software and sports markets. Matt has vast experience with IP-based workflows across many industries. 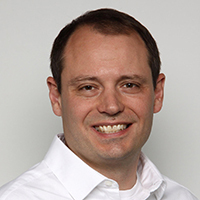 Prior to TVU Networks, he spent 7 years at Automatic Data Processing (ADP) leading enterprise software sales and channel development in the Midwest. Matt also spent 6 years with Tribune Company, NBC Sports Network and FOX Sports Net in a variety of affiliate sales roles. He has a BA from Ohio University. Florian Kolmer currently serves as AVIWEST’s sales director for the Americas. 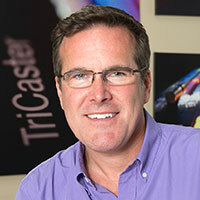 He is responsible for the business development of AVIWEST innovative technology. 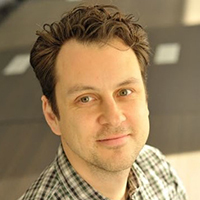 Florian has more than 10 years of experience in the IT and broadcast world with advanced knowledge of MPEG-2/H.264/H.265 standards, as well as cellular bonding and IP streaming technologies. He joined AVIWEST seven years ago to help promote the company’s products worldwide and to provide broadcasters with an ecosystem using unmanaged IP networks. 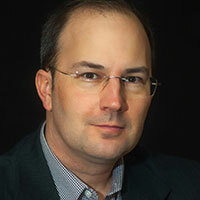 John Landman has been VP of Sales with Teradek for the past 5 years. 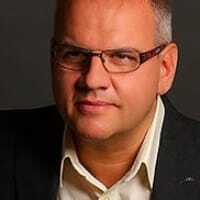 He is responsible for development of worldwide sales, with an emphasis on the broadcast market. Jon has over 25 years experience in the broadcasting world and is an expert on MPEG-2/4, Cell Bonding and IP systems as Jon is both an certified Broadcast and IP Network Engineer. Paul McGonagle has been Vice President/News Director for the FOX owned and operated station, WTTG-TV since November 2014. FOX5 DC currently produces 73 hours of local television each week. He came to DC from FOX in Boston where he spent 6 years as assistant news director before being named Vice President/News Director at WFXT in April of 2011. McGonagle began his career in broadcasting as a general assignment reporter/photographer at WNNE-TV 31 in White River Junction, VT. He then spent a year and a half as an investigative reporter at CBS2, KGAN-TV in Cedar Rapids, IA and spent 6 years reporting at NBC10, WJAR-TV in Providence, RI before making his move into news management as the NBC owned-and-operated station’s assistant news director in 2002. Paul is a 1990 graduate of Ithaca College/Ithaca, NY. He has been married to his wife Beth for 25 years. They have 3 grown sons. 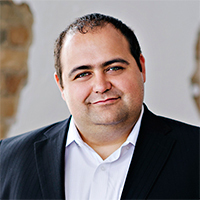 A widely recognized expert in asset management, with a particular emphasis on newsroom computer systems, Savva Mueller joined Masstech in 2012 and is responsible for Product Management, including the development of product roadmaps, coordination of pre-sales efforts and management of post-sales projects. After graduating with a degree in Mass Communications from the University of Wisconsin-La Crosse, Mueller worked in production and editing at WTMJ-TV and WKBT-TV. His time there led him to Tektronix, where he was responsible for training and commissioning both newsroom computer systems and some of the earliest non-linear editing systems for news production. During his tenure at Tektronix, and later at Avid, he transitioned from Customer Service to Quality Assurance, and eventually to Product Management, always with a focus on improving customers’ user experience. Bill Nardi is Vice President of Station Operations for TEGNA. 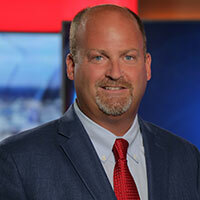 He joined the company in December of 2017 and is responsible for the operation of 47 television stations in 39 markets as well as 2 broadcast hubs located in Jacksonville and Greensboro. Prior to joining TEGNA, Bill spent 5 ½ years as VP of Broadcast Integration and Global Support for Dejero Labs. Bill started his career as a production technician in 1985 at WJAR in Providence, RI. He worked his way to the role technical supervisor and in 1997, he joined WFXT in Boston as a field technician. He spent 2 years at WFXT and in 1999, left to become Station Operations Manager at NBC owned WVIT in Hartford, CT. In late 2003, Bill was transferred to WRC in Washington DC to become Director of Technology. He spent 9 years in that role before joining Dejero. Bill is a graduate of the University of Phoenix and has been married for 23 years to his wife Sandie and they have 2 daughters are in college. 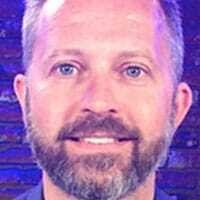 As VP of Product Management, Mr. Peterson is responsible for product development, product management, and marketing/sales support for all three divisions of Bitcentral, Inc: Core News, Central Control, and New Ventures. A broadcast professional with over 28 years of experience, he spent over 20 years at Grass Valley holding roles that spanned automation, master control and playout, news production, signal management and live production. On the OTT side, Mr. Peterson has networking expertise in contribution and distribution networks for live streaming and VOD; as well as managing a live production instant replay product. He received his Bachelor of Arts in Communications from Austin College. As a former Eagle Scout, he has given back as an Assistant Scout Master, Assistant District Commissioner, and Wood Badge staffer. He also enjoys coaching youth lacrosse, as well as training community emergency response for the C.E.R.T program and emergency communications for the Medical Reserve Corp.
Don Roberts is currently the Senior Director of Television Systems for the Sinclair Broadcast Group in Hunt Valley Maryland. In this position, he is responsible for planning, development and deployment of the company’s ongoing master control and production control initiatives as well as future News technology upgrades and workflows. 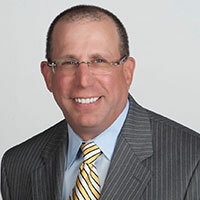 Don began his career in 1978 with UA Columbia Cablevision of Westchester, and has held technical positions with USA Networks, various post production facilities as well as engineering management positions at Viacom and Sinclair television stations. 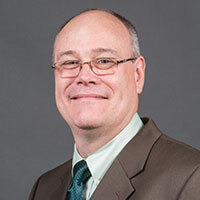 Throughout his 20+ year career at Sinclair, Roberts has held various engineering positions including Regional Engineering Manager and director of engineering and Operations at WUHF. He is a member of SBE, SMPTE and sits on various manufacturers advisory boards. Prior to joining Newsy, Blake oversaw video strategy for the digital division at Newsy's parent company, The E.W. Scripps Company. Blake has a long history in both news and digital strategy. A native Texan, he started his career as a digital producer at ABC Action News in Tampa, and was later promoted to executive producer, managing a team of producers and overseeing editorial operations. 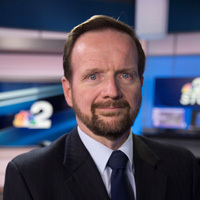 Blake later led the digital strategy and operations at WJLA and News Channel 8 in Washington, D.C. When not at one of Newsy’s offices, you’ll find Blake at home in Cincinnati with his wife, Jinna, and his two children, Clayton and Emelia. Mea the miniature dachshund rounds out their family. Michael Saffell is the Director of Engineering at Hearst Television’s WMUR facility in Manchester New Hampshire. In this role, he oversees all of the technology and environmental systems used in the local broadcast datacenter, studios, and user workspace, as well as the related mountain top transmitter and microwave relay sites. Michael’s 30-plus years in the broadcast industry has given him the opportunity to be a part of all of the technical aspects of the broadcast environment. His early start in the production side of the business gave him a unique view on supporting live productions when he transitioned to more technical roles. This perspective has proved valuable through his time as a mobile unit EIC, as well as leadership roles at fixed facilities. His recent experience coordinating technology solutions for live political event coverage has included finding uses for new technologies that enable media and operational connectivity in challenging environments. 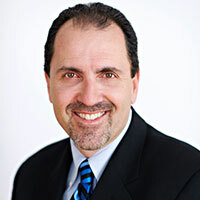 Mike Savello is Vice President of Sales at LiveU. As a digital media veteran with over 25 years of experience in the video, graphics technologies, broadcasting, production and post-production markets, Mike has vast expertise both on how this technology is applied in for different markets and applications. Prior to LiveU, Mike was Senior Business Development Director at Google where he was responsible for promoting core video technology through open-source initiatives. Mike has also held VP of Sales positions at On2 Technologies (acquired by Google), Optibase and Media 100. 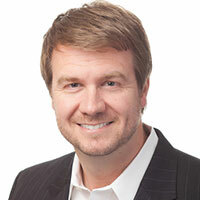 For the past 4 years Steve has been the VP of Digital Strategies for Crawford, Johnson and Northcott. Steve focuses on helping stations, media groups, and third party content providers develop digital strategies to drive viewers to revenue producing digital platforms. He also recommends ideas for using digital to drive a station’s Nielsen ratings. A key part of his strategy is using focused research to maximize Facebook and other platforms targeting content at online users. This includes attention to social media writing styles, the type of content that drives engagement, and understanding key daypart opportunities. Steve also helps stations optimize their websites’ content and presentations. 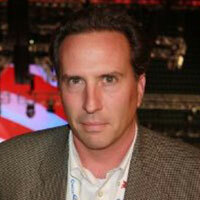 Earlier in his career, Steve was SVP of News and Programming for the NBC O&O stations group based at 30 Rock in NY. He also worked as news director at WTXF – Philadelphia, WGCL – Atlanta, WCAU – Philadelphia, and WVIT – Hartford. 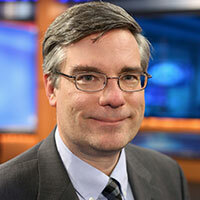 After joining WCAU in 1998, Steve made the web a key part of the newsroom culture, driving producers and reporters to make it part of their daily content production and promotion. Steve started his career as a newspaper reporter, then shifted to TV reporting and moved into producing, executive producing, and news management. CJ&N is a research and consulting company focused on using target-marketed research to help station design and implement online and on-air strategies. Steve is based in Sarasota. 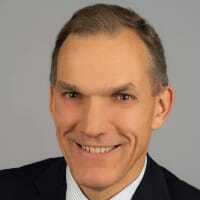 Edgar Shane is General Manager, Engineering at JVC Professional Products. 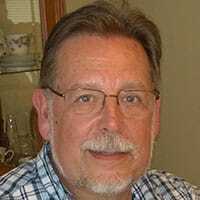 With 30 years of experience in industrial electronics Edgar specializes in professional video equipment, video-over-IP solutions and ENG (Live News) workflow optimization. Edgar joined JVC 20 years ago and was involved in professional camcorders and monitors development, product launch and sales support. He has an extensive hands-on experience with shooting, NLE and digital media creation, wireless video transmission and encoder/decoder applications. Edgar Shane received his Master’s Degree in Electrical Engineering in 1986 and worked as a design engineer for more than 10 years concentrating in digital video and image processing circuits design and manufacturing. Specialties: Professional Video Products: development, management, training, evaluation and competitive analysis. As Marketing Product Manager for Ross Video’s newsroom, media asset management, and teleprompter solutions, Shawn Snider is responsible for shaping the product, managing marketing and sales efforts, business partners, and providing leadership and guidance on future product roadmaps. Shawn joined Ross Video in 2007, where he started his career in broadcast as a designer on the OverDrive Automated Production Control System. Over the years, he took on additional responsibilities, including the design and architecture of Ross Video’s Inception, and ultimately the company’s web technology platform. During his years in the R&D group, Shawn was consistently interfacing with customers and business partners, as well as speaking on behalf of the company at industry and technology events. He is also an active contributor and speaker at MOS committee meetings, proposing and heading up the new HTML5 design specification. He has a Bachelor of Engineering – Software (High Distinction) from Carleton University. Shawn grew up outside of Toronto, moving to Ottawa in the early 2000’s which he now calls home. He enjoys playing hockey, board games, video games, and spending time with his two dogs, wife, and young daughter. Michael has been in the media business for over thirty five years and with CBN for almost thirty years. He began in radio in 1976 and has been in radio, television, telecommunications and web technologies since then. As Vice President for the Christian Broadcasting Network, Michael is responsible for general management and strategic oversight of digital media, broadcast operations and development of ancillary digital fundraising of CBN’s diverse portfolio of broadcast and digital channels domestically and internationally. To that end, he leads a team that oversees product development, marketing and operations for the group’s digital media content platforms, including video-on-demand, linear broadband, web-based and mobile platforms as well as interactive television technologies. Stonecypher has served in his current role since fall of 2007. CBN’s Digital Media Group is responsible for creating new ventures and partnerships in the digital and online space, providing planning and support for the CBN broadcast relations in this emerging new area. He works closely with affiliate distribution, sales and marketing to ensure the delivery of digital media services to cable and affiliate providers. He also collaborates with CBN’s marketing teams and strategy groups in developing these content platforms. Bob Valinski is the Sales Manager for Vizrt Americas and specializes in news workflows and automation. His experience working within both broadcast and technology enables him to provide a pragmatic and forthcoming view towards news workflows. 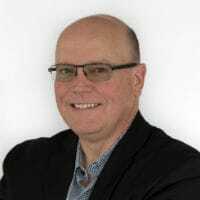 While working at Parkervision, 17 years ago, Bob helped create the news automation category, and he has since worked on automated and file-based workflows at companies such as Crispin and Omneon. On the broadcast side, Bob started as a news photographer, working his way up to Director of Technical Operations. Joe Vandenberg has been with Avid for over 22 years, working out of Toronto, Madison, and now Los Angeles. He has worked in Customer Support, Professional Services, and, currently Pre-Sales, with over 150 customers in 5 countries. He is currently a Senior Solutions Architect at Avid. Prior to joining Avid Joe worked for the Canadian Broadcasting Corporation as a Newsroom Systems Administrator and for a School of Journalism in Toronto. Joe has a degree in Radio Television Arts from Ryerson Polytechnic University and a degree in Political Science from York University, both in Toronto. 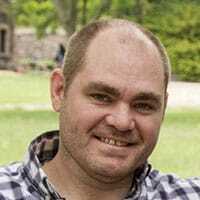 Ryan Weston, Director of Media Workflows at WNET New York Public Media, has helped develop and establish WNET’s all-digital production workflows and WNET’s digital archiving procedures. Today, his duties include providing technical strategies for media production and managing technology deployments. In addition, the Media Workflows team supports WNET’s media asset management and newsroom computing systems. Scott is a Senior Specialized Solutions Architect with AWS Elemental. With over 20 years of experience in technology, broadcast and digital media, he has spent his career helping customers design media workflows to create, process and deliver high-quality video to TVs, PCs, smartphones, tablets and other IP-connected devices. Recent highlights include working to launch the first non-commercial consumer ultra-high definition (UHD) channel in North America (NASA TV UHD), and architecting the first ever live 4K video stream from the International Space Station at the 2017 NAB Show. 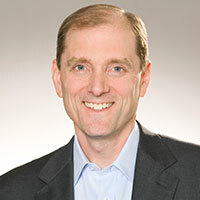 Prior to joining AWS Elemental, Scott held positions with Harmonic, Envivio, and Ericsson (formally Tandberg Television). Shan Zhong is a lead designer at WRAL-TV in Raleigh, North Carolina. He is a driving force and creative mind behind WRAL-TV’s virtual and augmented reality program. He uses ROSS XPression and UX to create unique storytelling visuals for news and station presentations. Zhong grew up in Nanjing, China, where he studied classical oil painting in college. He expected he would spend his career teaching fine arts and oil painting at the university level and did, in fact, spend two years teaching oil painting at Nanjing Normal University. Then one day his eyes were opened to an artistic world beyond oil paints and canvas. After completing his Master’s degree in Design and Advertising at the Nanjing Arts Institute in 1994, he moved to the United States to pursue a second Master’s in Digital Media and Video Production at Memphis College of Art. Upon graduation, WMC-TV in Memphis offered him a job, and Zhong began his career as a TV graphic designer and editor. 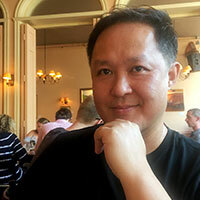 During his eight years at WMC-TV, Zhong won five Emmys, including two for directing and producing and one for editing. Those awards were only the beginning. In 2006 he accepted a job offer from WRAL-TV. Zhong has had many opportunities to explore a wide variety of projects both inside the company and outside via working with WRAL’s clients. This diverse experience helped him greatly expand his skill-set. Zhong’s essential role at WRAL-TV include working on a wide variety of station special projects, including virtual and augmented reality projects, designing graphics packages, creating weather forecast graphics presentations, creating WRAL/FOX50 newscast opens and reentries, making WRAL/FOX50 promotions and syndicated programming template designs, art direction for WRAL documentaries, designing station graphics package for WILM, the NC Education Lottery set and LED promotional graphics for WRAL that are displayed at PNC Arena. In addition to all of these projects, he also shoots, produces, and edits promos and commercials from time to time. He sets his sights high and tirelessly works to turn out the best possible product. His dedication, skill and determination do not go unnoticed. Zhong puts in the time to expand his knowledge and go the extra mile to produce results that are above and beyond. He has won a total of 18 regional Emmy Awards (85 Emmy nominations), eight PROMAX Awards, four Telly Awards, and two RTDNAC Awards. Interested in speaking at this year's event? Contact Andy Friedman to find out more.